Short Drop Pendulums are often used by more experienced dowsers. Their short chain (drop) provides highly accurate answers to questions but beware that the slightest change in hand movement could cause an entirely different answer! Difficult to use but can give more definite results. 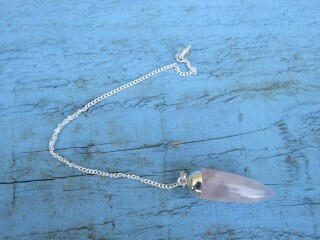 Short Drop Pendulum - may be used for advanced divining. Pendulums are used for divination. ..